The intention of advertising is to create an image about a product or a business in the minds of consumers. It is one of the effective methods to pass on the message of a business to the customer. Internet alone provides vast number of ways for advertising. Among them mobile app advertising is one effective method to reach the targeted customers. Standard banner ads: Banners ads appear at the bottom or on top of the screen. They contain relevant text and graphics and mostly depend on brand recognition. Videos: Videos are an effective way of advertising. A video which contain mass media content can explain better about new products and services. Time span may vary depending upon different factors. Native ads: Native ads can either be articles or videos which are used to advertise about products on mobile apps. Interstitials: These are full screen ads which appear on the screen of the application during activities such as breaks in videos, pause between levels in a game etc. (a) Increases revenue and proximity to publishers. 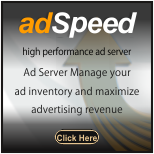 (b) Tracks location and helps in promoting & advertising preferable products. (c) Reaches maximum number of consumers. Blocking: When users choose block option they no longer see ads while using mobile and the advertisements will not be able to reach them. Privacy Issues: There will be privacy issues for the customer while using certain apps on mobile. It is because of location tracking or when customer is asked to login the app. Freemium offers: Many of the customers use certain apps while during the free period and when the freemium offer ends, they stop using it. Advertisements are now getting in sync with technology trends and becoming more and more focussed with customized analytic support.